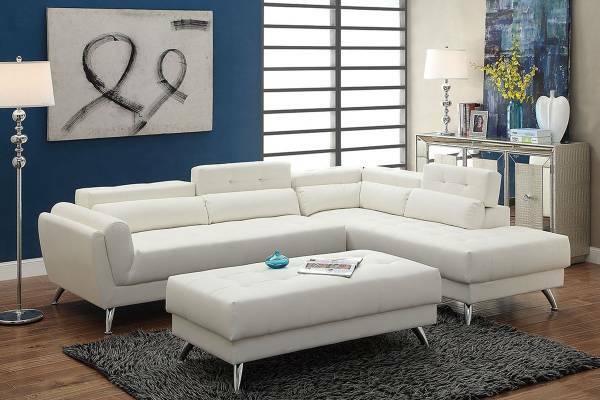 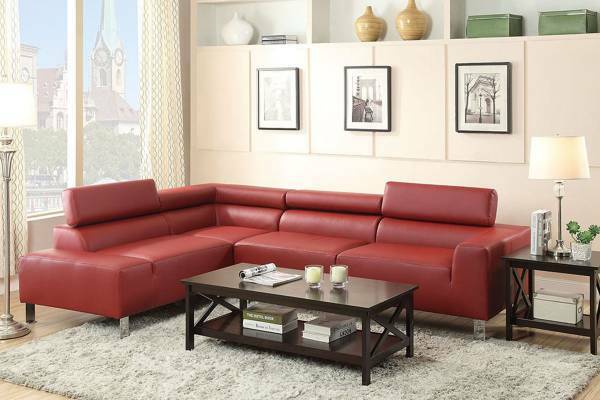 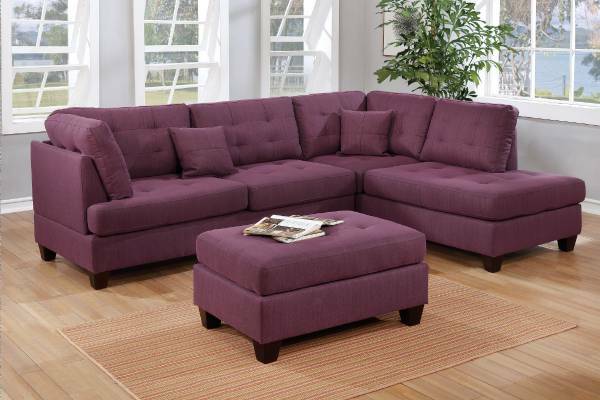 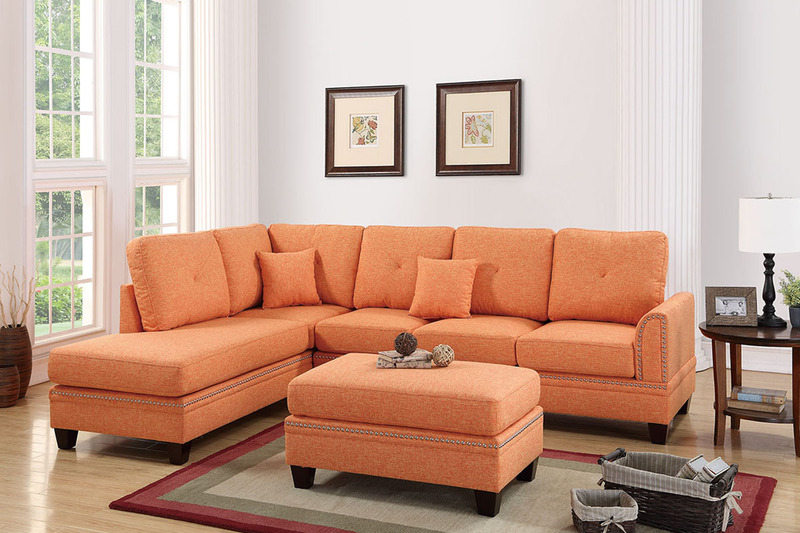 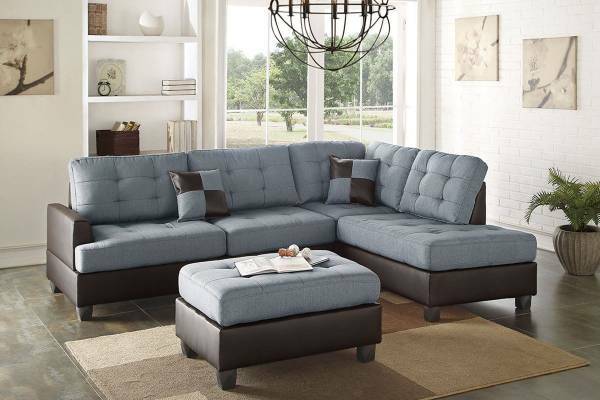 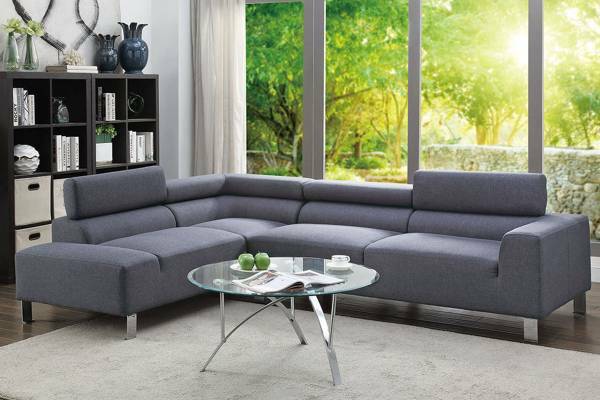 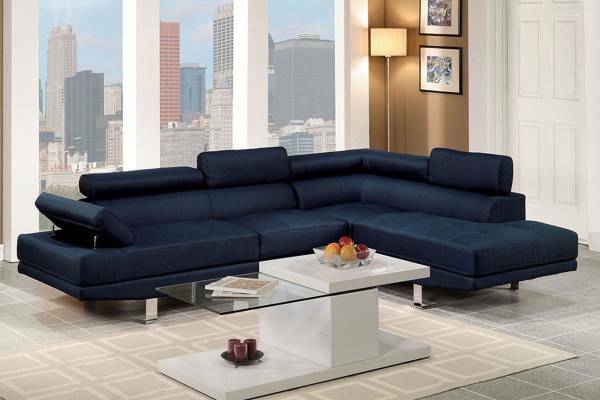 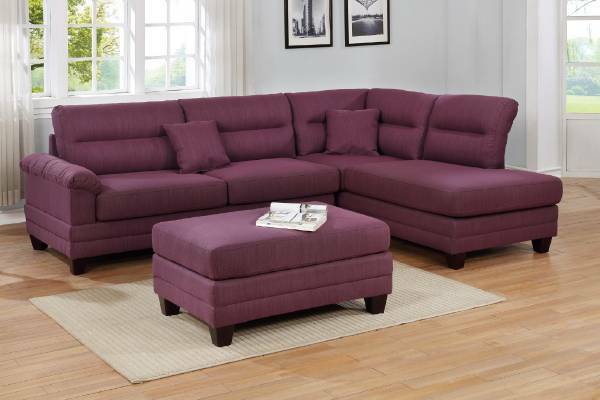 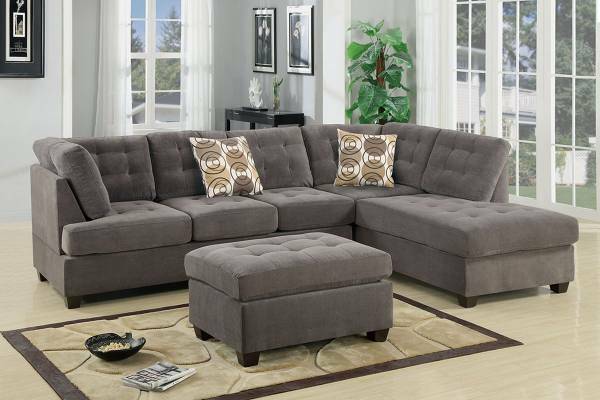 Suited for contemporary or classic living space, this 2-piece sectional features extra plush seating with pillow back and seats. 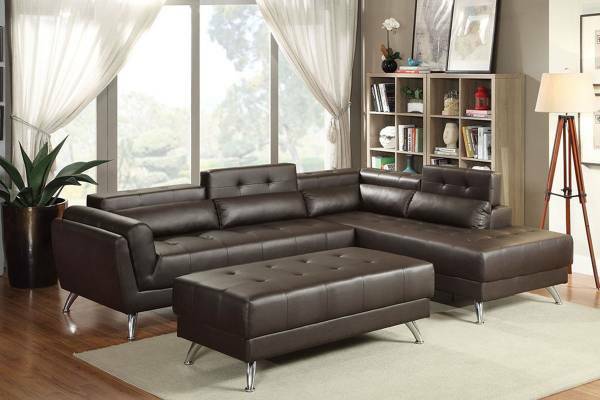 Its frame is trimmed in nickel plated studs with short brown leg supports. 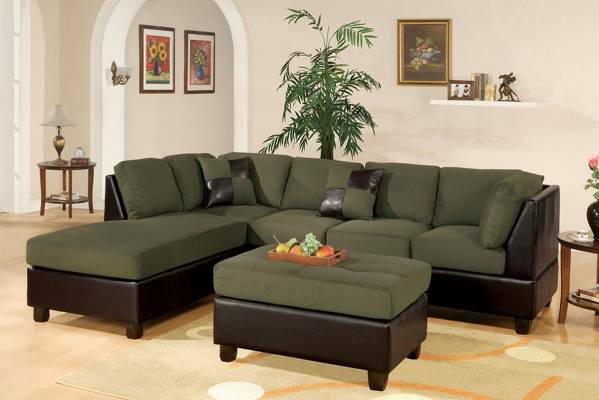 Available in ash black (blended fabric, blue cotton (blended fabric), or citrus (polyfiber).